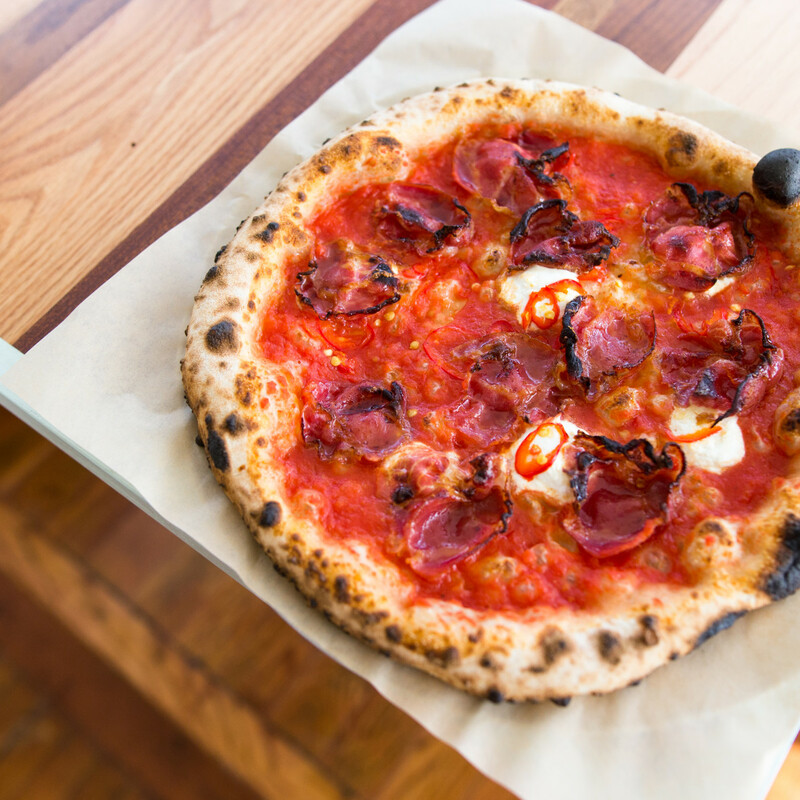 The wheels are coming off for one of Austin’s favorite pizza makers. Clint Elmore, the force behind Neapolitan pizza trailer 40 North has brought back the concept at a new brick-and-mortar, opening May 4 at 900 W. 10th St. The road to the new eatery has been rocky. Opened in December 2014 as a trailer, 40 North only had a short run before closing in July 2016. 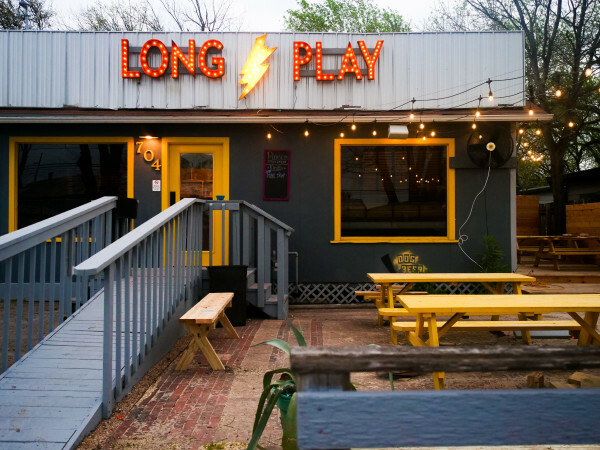 Elmore then popped back on the radar in Round Rock, where he created the menu for PS 35, a New York-style pizza joint from restaurant group SMGB Hospitality. That eatery suddenly shuttered in November 2017 after less than six months. 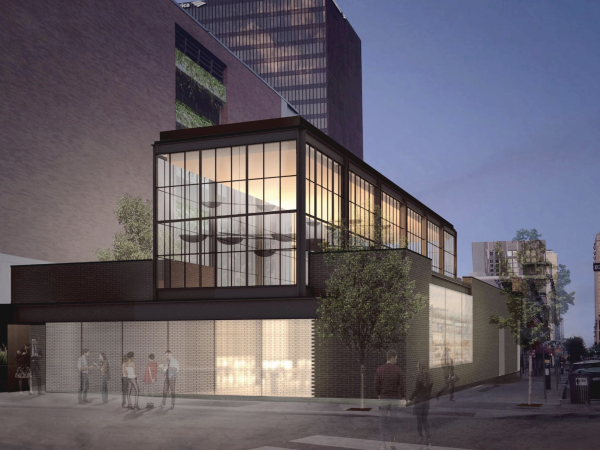 The site of the new restaurant off Lamar Boulevard has had its own share of troubles. Pork-centric eatery Bacon was forced to close in October 2016 because of continued damage from heavy flooding, made worse by the Memorial Day floods of 2015. Afterwards, El Chile Group’s burger shop El Sapo briefly occupied the building before closing in September 2017. A permanent home for 40 North has always been in the plans. “[It] has been something that I've been working on for over eight years now, after many years of obstacles that I have encountered on the way and where almost nothing has gone according to plan," said Elmore in a release. 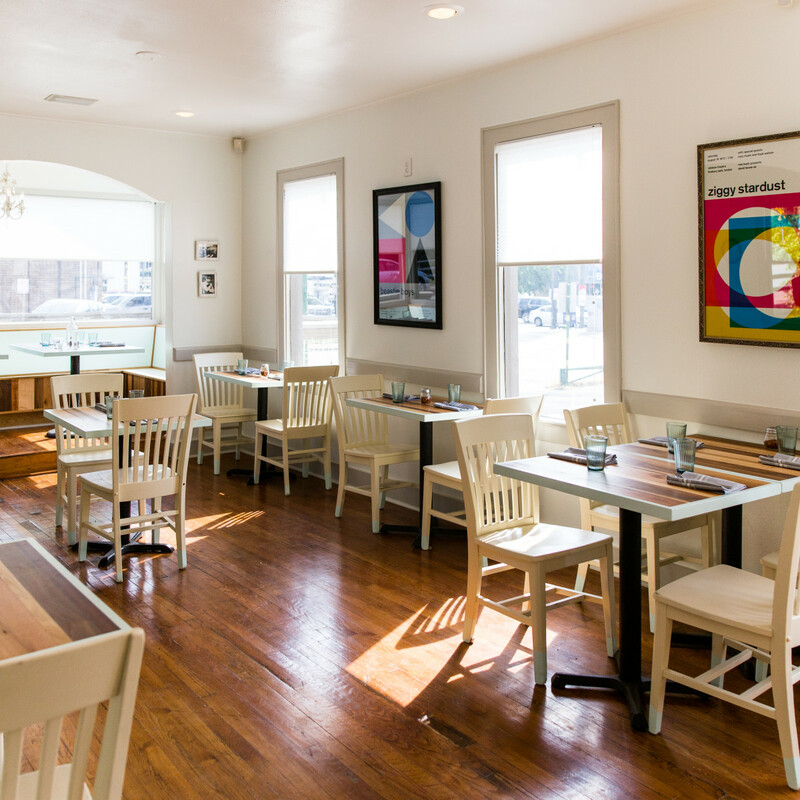 The space uses the bones of the ‘40s bungalow to create an intimate, neighborhood feel. 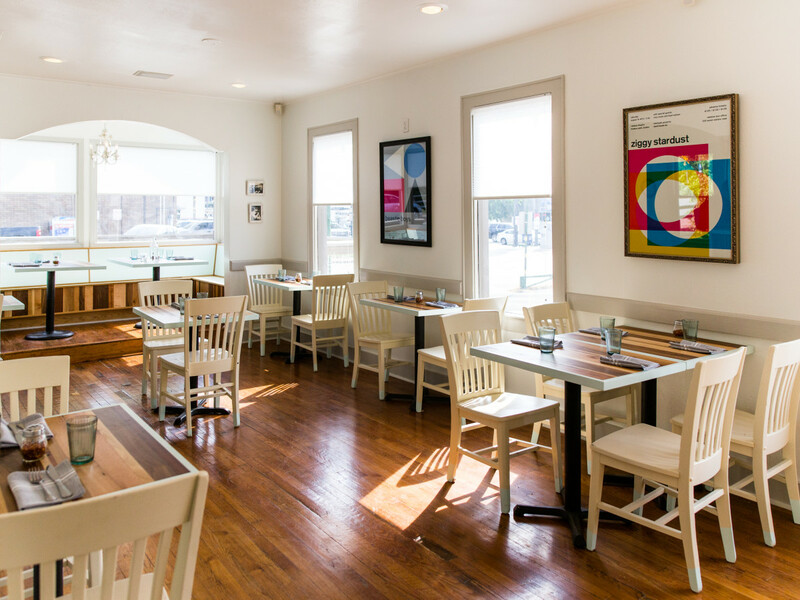 Old family photos and Scandinavian minimalist music posters adorn the walls and vintage tableware provides the place settings. Locals Litmus Industries made the furniture from multiple wood species. The menu at the new joint expands on the formula set by the much-missed food truck. 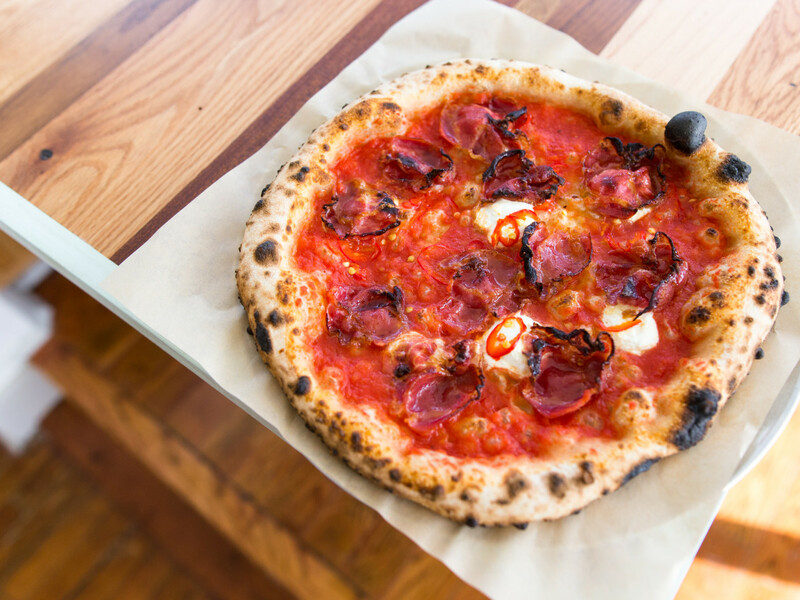 Popular pies like the Hot Honey (tomato sauce, ricotta, coppa, Parmesan, Fresno peppers, charred scallions, Mike’s Hot Honey) and Margherita are back, but the larger kitchen also allows Elmore to expand the menu. New dishes include a pork sandwich made with house porchetta, provolone, aioli, onion jam, arugula, and schug (a Yemeni hot sauce), and a juicy burger with Akaushi beef, mustard aioli, American cheese, red onion, and pickle. Small plates include charred asparagus with shallow, pancetta, and poached egg and fried cauliflower with honey, yogurt, aleppo pepper, anchovy, and hazelnut. A farro salad (a version of which appeared on the trailer’s menu) and a charred romaine salad dressed in a bagna cauda vinaigrette round out the list. 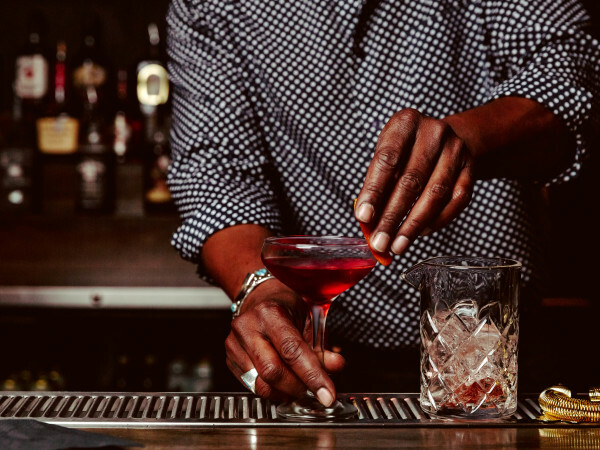 Although there is not a full bar, 40 North offers a wine list from smaller vintners with a focus on sustainability. Beer is also on tap, including local favorites from Thirsty Planet and Hops & Grain. Zero-proof options includes Boylan’s line of sodas.